It often happens that an idea you’ve been developing for a long time just can’t start off as a successful, profitable business. 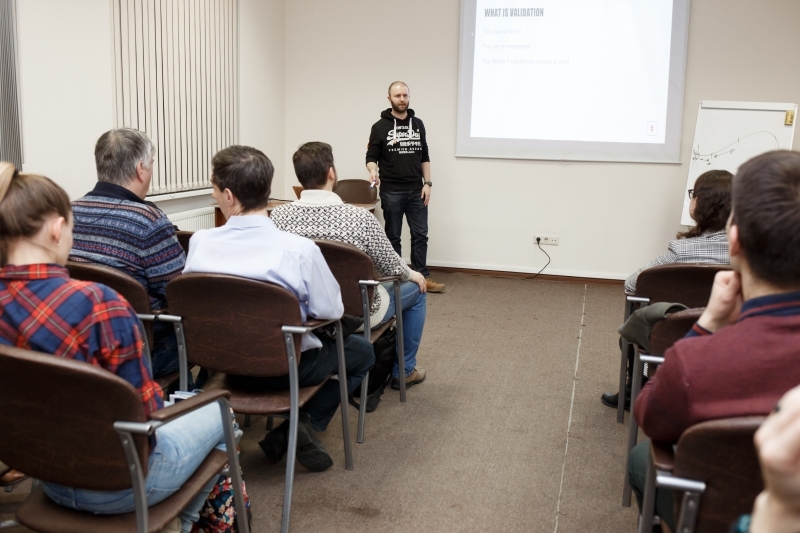 In a workshop held as part of the Startup Connect program, Steven Balliano, a specialist from the Finnish venture fund DigiRockStars, revealed the secrets of how to test your startup idea before the big launch and avoid the common mistakes the majority of startup founders make. Everyone who has ever tried to launch their business project, traveled that classical path: the search for inspiration, the choice of the concept idea, the start of the project’s implementation. In Finland, if you were to ask your family their thoughts on your idea, chances are that they won’t pat you on the back and say how great you are. But still you persevere and spend sleepless nights thinking of a suitable name for the project, planning what its website would look like, and mulling over the designs for business cards and other petty details. Finally, you create the product and… don’t become a millionaire overnight. This happens in most cases, and there are reasons for that. Going the traditional way, you do what is the easiest for you to do: you fashion the technical part and leave the interaction with clients to the eleventh hour. In the course of your work, you fall in love with your product, with no one in time to tell you that’s not the way it should be done. Your startup becomes your own child, and you’d never think of getting rid of your child. You build a solution hoping that this is something that would solve people’s problems, something that they would pay for. But after carrying out lots and lots of trials, you come to the bitter realization that your product is useless as what you developed is the wrong solution for the wrong user. All your efforts come to nothing. 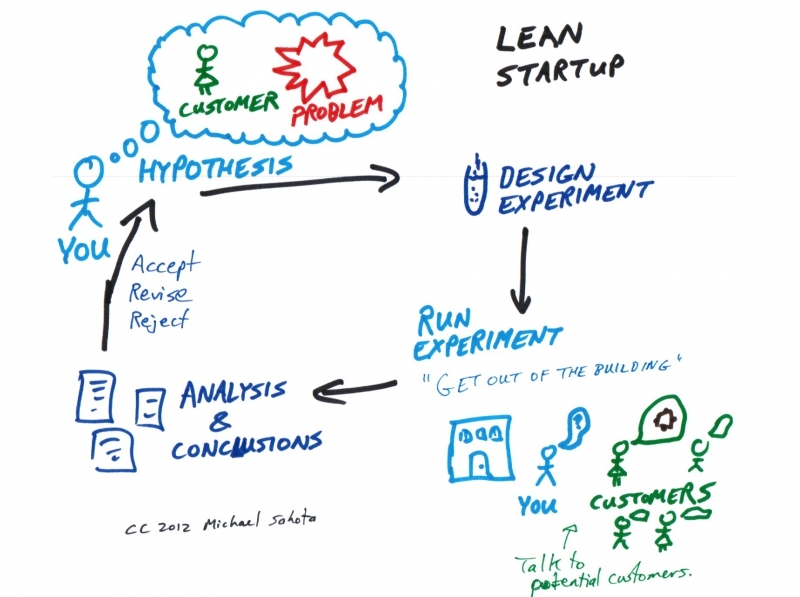 The Lean Startup method is the opposite to beaten track that is the traditional one. You start off in the same way: you come up with an idea, but before building something specific, you attempt to conduct an experiment. Its aim is to establish whether there is someone out there struggling with that very problem you want to solve, and whether that someone will want to pay for this solution before its full completion. In other words, you do this to gather the necessary data to decide whether you’re ready to spend time, nerves and resources on this idea. And it’s better to understand this at the start of your journey. Usually, you search for this potential someone via interviews or landing pages. You try to introduce the people around to your idea. The definite advantage of this method is that you don’t stress about creating the perfect product; rather, you try to understand whether someone actually needs it or not. It is only after solving that question that you can set out looking for the solution of that specific problem, which should be universal enough to prove worthy of your time and effort. In this approach, first you search for the issue that needs to be dealt with, after which, and only after, you develop the solution. To start with, you have to validate the idea which you’re planning on implementing. What makes this method so great is that here, you’re focused on solving a specific, real-world problem. It’s worth noting that this initial step of doing research into this problem can last for days or even weeks, but not years. This will save your time and money. The most important thing is that you stay open to any solution of that problem. You’re not obsessed with boosting one product to perfection; you can easily swap it with another idea. It’s users who play the central part in this approach, so don’t underestimate their role. 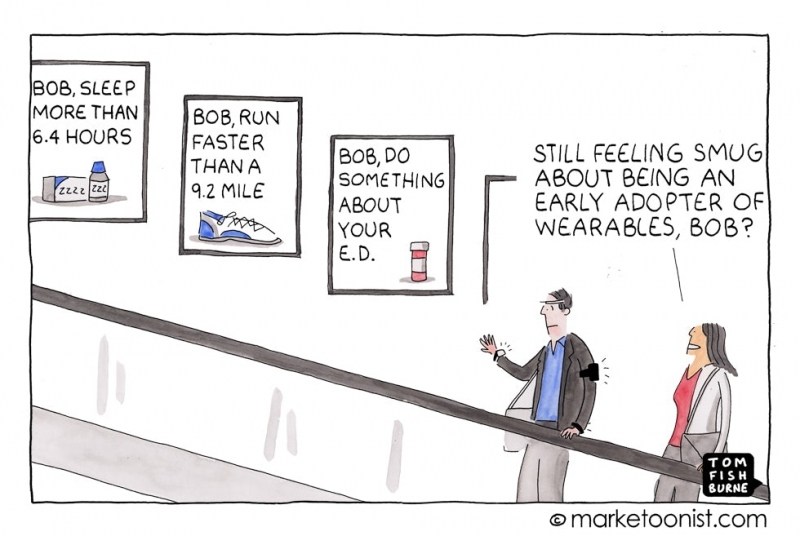 It’s not about some random people though, but rather finding some individuals who could become the first users of your product, or the so-called early adopters. These are usually people who have already faced the same problem as yours and are able to offer solutions. What is also important is they are ready to invest money into your project, because otherwise it won’t work. Why? The thing is that ordinary people can lie that they are going to use your product when it’s ready. That’s why you need people who can put their money at stake and tell you the truth, people who will really use your product. What benefits does it have for you? Early adopters are basically the only people who will provide you with considerable and candid feedback to help you refine your future product. They’ll ask you all about its features and characteristics, which can come in extremely handy in the long run. Validation is the process of evaluating the idea to check whether it meets the market needs. It works like that: you come up with an idea and you need you get it approved to decide whether you should continue working on it or not. This is a very important step, as until other people get a chance to look at your idea, it’s just your own opinion, and you can’t always rely on that. The main problem with validation is that many people think that it’s about meeting other people and asking them some common questions. However, it’s not that simple, and the people you choose can really make a difference. Before you start sharing about your project and what you do, make sure that it’s a potential early adopter you are talking to, not some random person. Otherwise you’ll just waste your time. Use this interview as a chance to find out if the person you’re talking to has ever faced the same problem. Don’t mention your product right now. You can even say that you’re a researcher studying this particular topic. For you, this is an opportunity to hear and understand, rather than share and sell, so don’t give yourself away. Only when you realise that this is the right person, you can tell them about what you’re working on. 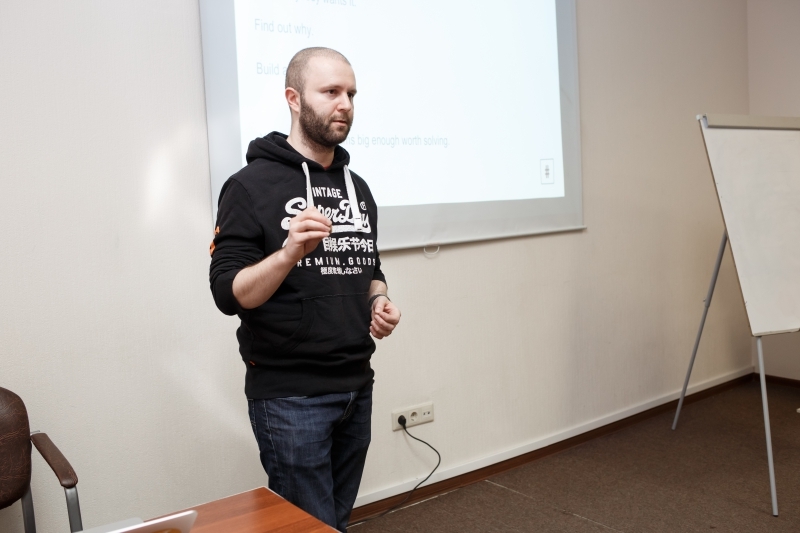 Steven Balliano’s workshop was held in collaboration with the Startup Connect project, which is part of the South-East Finland-Russia Cross-Border Cooperation Program 2014-2020. Startup Connect is aimed at helping startups in the cross-border region.